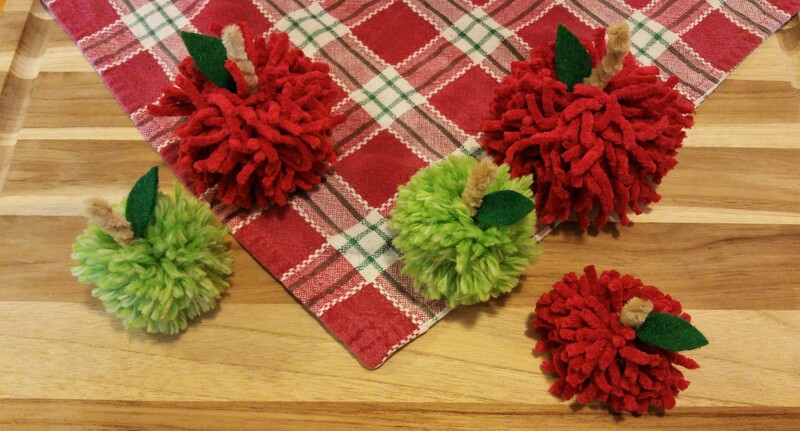 Apple harvest is underway, and I have been busy creating a “bushel” of fruity crafts! 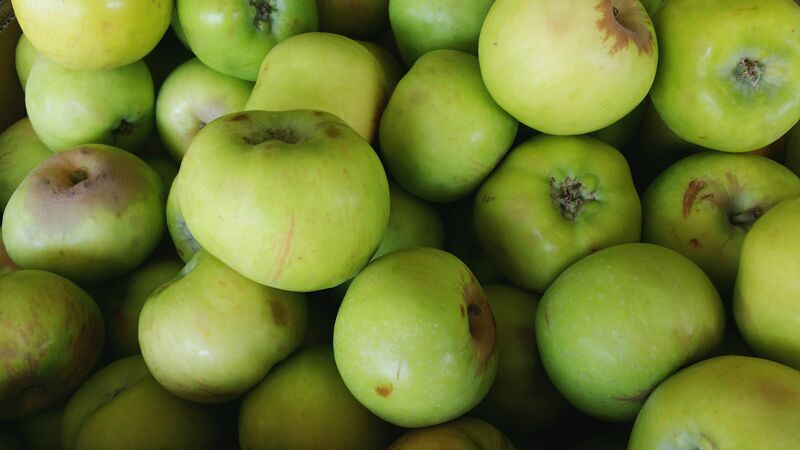 These projects use some of my favorite techniques from previous posts, but give them an apple twist! All of these crafts would be perfect for teacher gifts (show those teachers some love!) 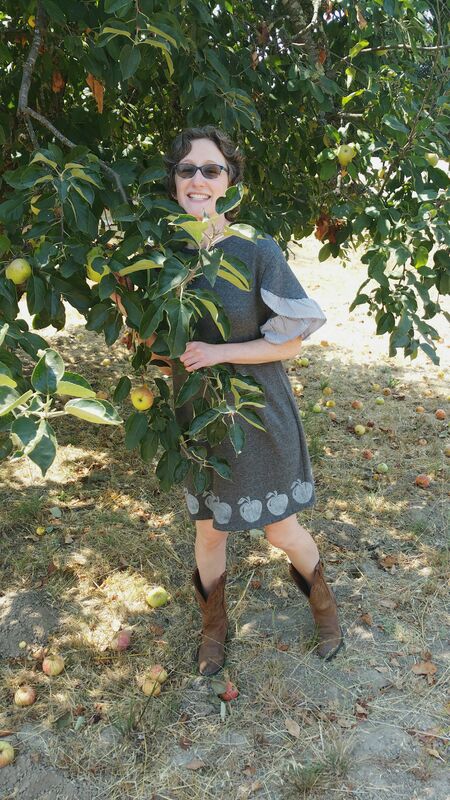 or cute fall projects for you! 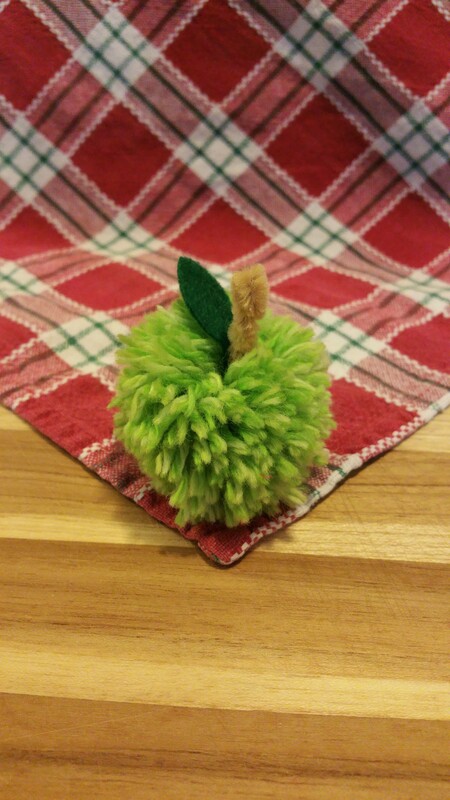 I started by crafting fuzzy pom-pom apples from yarn remnants. 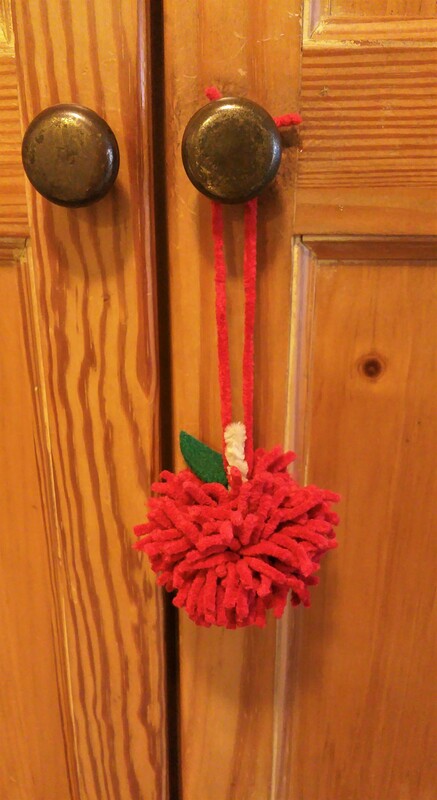 This project was based on our Pom-Pom Pumpkin post from last fall! (Find that tutorial here! ) I just changed the yarn color and glued little felt leaves to the stems! 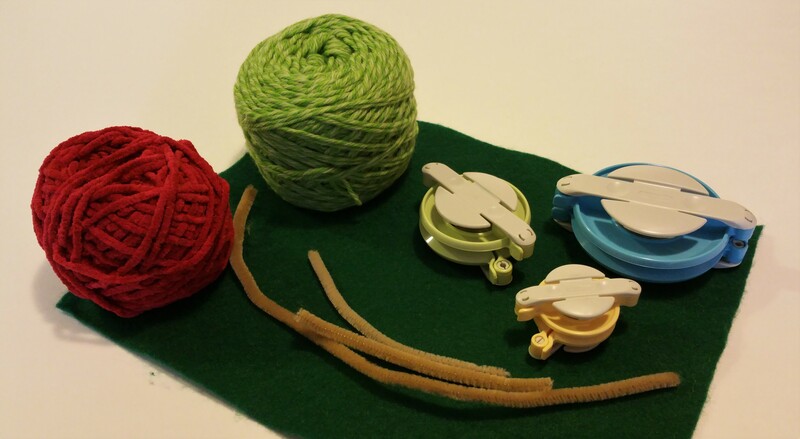 Here are my supplies, including my pom-pom makers, which you can find on Amazon (here). 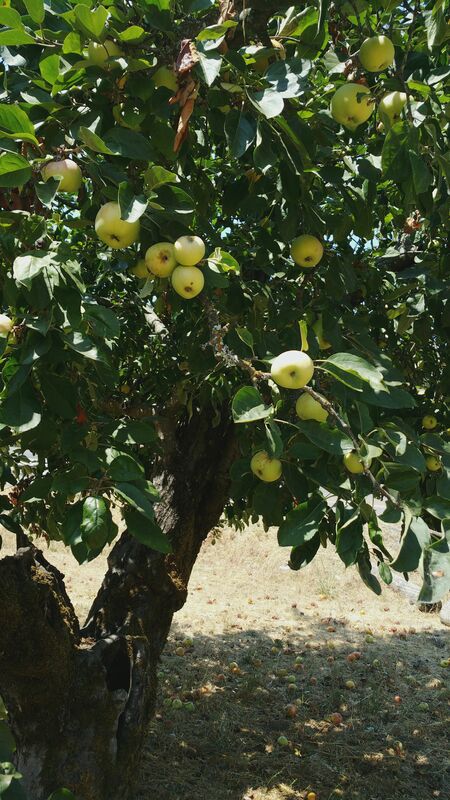 These little guys would look cute grouped as a centerpiece or hung as ornaments! 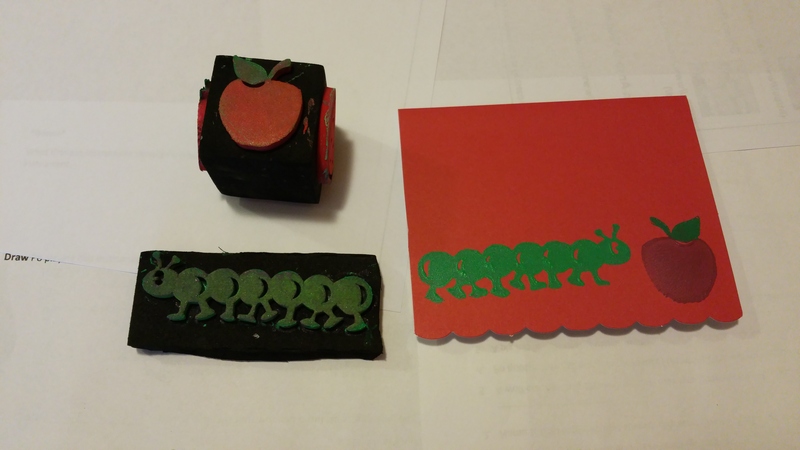 A great way to round out an apple-themed gift is to stamp an apple card! 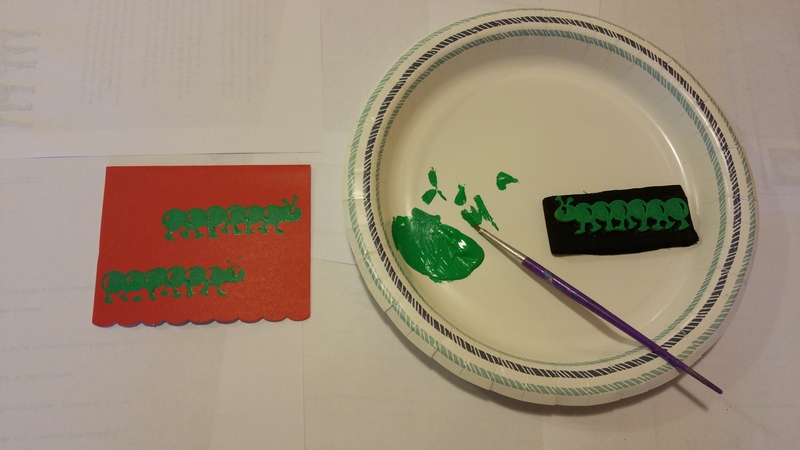 Check out our paint-stamping tutorial here in this post! 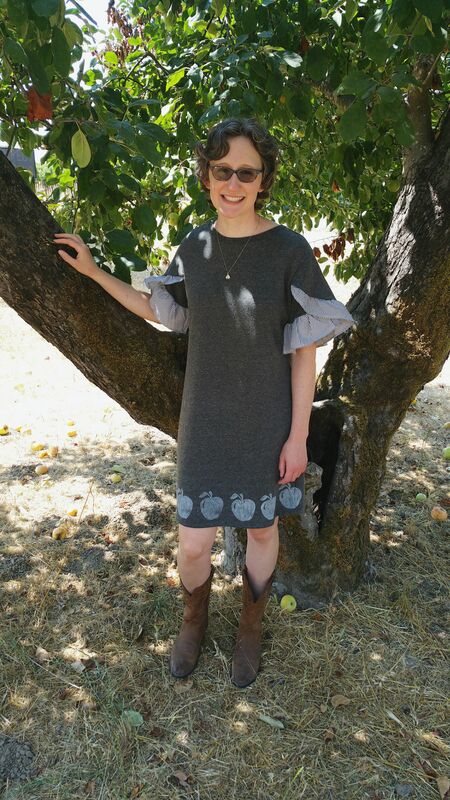 Of course, I couldn’t pass up a chance to add some apple style to my wardrobe! 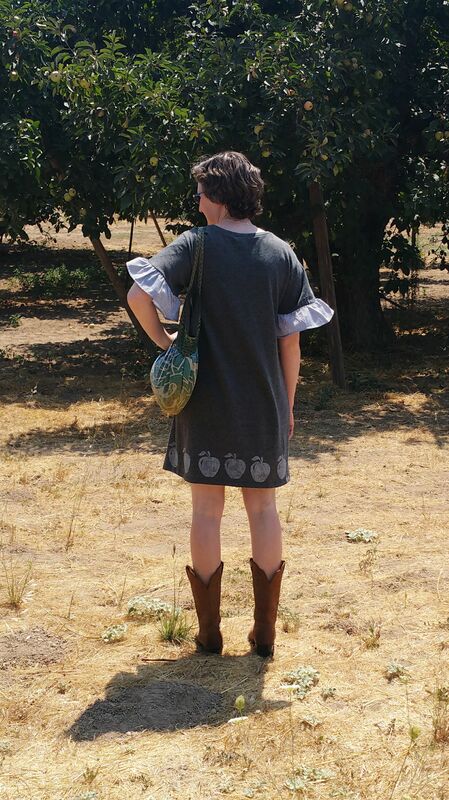 Using the fabric stamping technique from our t-shirt tutorial (here), I added fruity details to a simple dress! 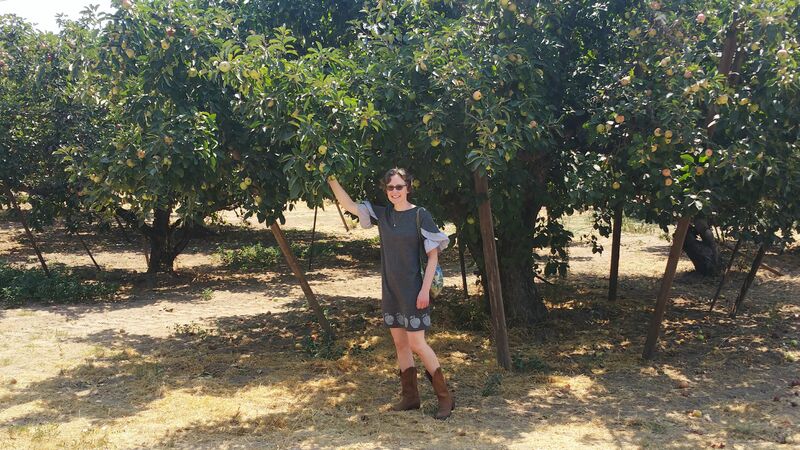 I just had to wear it on an apple-buying expedition!